USC molecular biologist Qi-Long Ying is closing on the holy grail of stem-cell research by isolating the mechanism that causes some embryonic stem cells to differentiate into specialized cells while allowing others to continue replicating into pluripotent cells. “My research focuses on understanding the molecular mechanism underlying ES (embrynic stem) cell self-renewal and differentiation,” writes Ying . “When an ES cell divides it can either produce identical copies of itself (self-renewal) or it can produce other more specialized cell types (differentiation) such as neurons. Understanding how an ES cell makes this choice between self-renewal and differentiation is the central challenge in stem cell research. Ying and his team discovered that in mice Tfcp2|1 is the transcription factor — a protein that controls the switching on and off of genes within a cell — tells ES cells to self-renew. When it prompts the protein beta-catenin to remain within the cell cytoplasm but outside of the nucleus, the stem cell continues to self-renew. When beta-catenin moves into the cell’s nucleus, it begins to differentiate, losing its pluripotence. The same transcription factor also shows promise as a mechanism for reverting slightly more differentiated epiblast stem cells (EpiSCs) back to the pluripotent ESC state. Ying plans to build on his findings by pursuing the molecular difference between mouse and human ES cells in order to develop a way to sustain pluripotency in human cells as well. Ying’s findings were published in September in Nature Communications and in August in EMBO Journal. 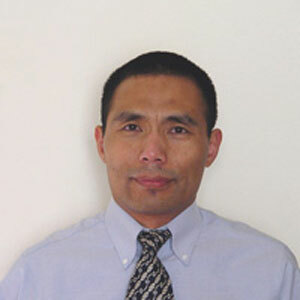 Qi-Long Ying is an associate professor of stem cell biology and regenerative medicine at the Eli and Edythe Broad Center for Regenerative Medicine and Stem Cell Research at USC. Prior to USC he conducted a postdoctoral research fellowship at the University of Edinburgh from 1999 to 2006. He received his BS in medicine in 1987 from the First Military Medical University in China, his MS and PhD in neurology in 1992 and 1995, respectively, followed by a postdoctoral fellowship from 1995 to 1998, all from Shanghai Medical University.